Recently, iPhone users of the world saw the release of the WiMax case for their iPhones. Now, FreedomPop - the company that introduced these WiMax cases - has decided to go even further in this direction, and is now presenting a similar case for iPod Touch. 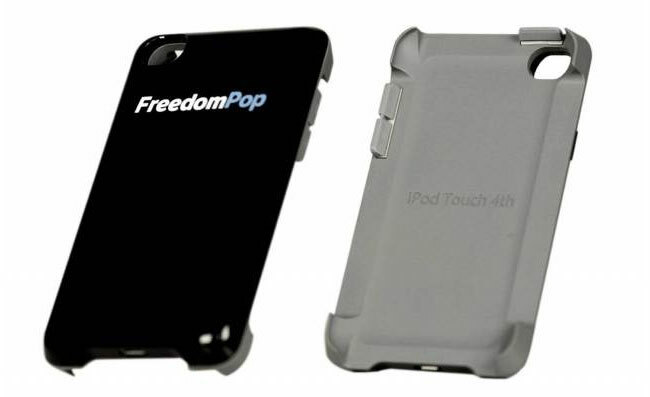 So basically, FreedomPop’s new WiMax case for iPod Touch turns your iPod into an iPhone! With the new WiMax case, your iPod Touch will become capable of performing quite a number of new useful functions. Now you can stream music and video, broadcast video, make and receive phonecalls, - just with your iPod Touch in a new Wimax case from FreedomPop. Moreover, this new case will enable your iPod Touch to function as a WiFi hotspot, the connection will reach the speed of up to 10 mbps, with the possibility fot up to 8 devices to connect. At that, the first 500mb of traffic will come for free, whereas the later traffic will come at the price of $10 per mb.